What’s the first product that comes to mind when you ponder the purchase of a Windows-based consumer video or multimedia editing suite? 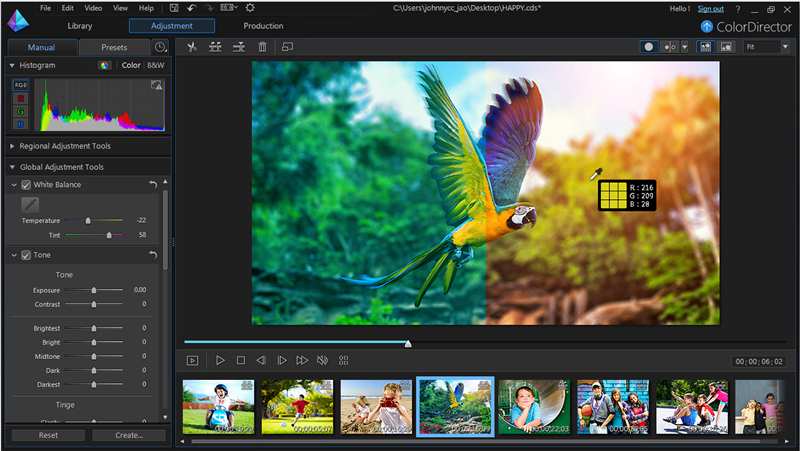 While amateur filmmakers — generally shooting footage of friends and family — might gravitate toward the popular Adobe Photoshop or Premiere Elements offerings, CyberLink has been honing its PowerDirector suite of video apps, as well as its cross-platform PhotoDirector image editing package, as enthusiast alternatives. 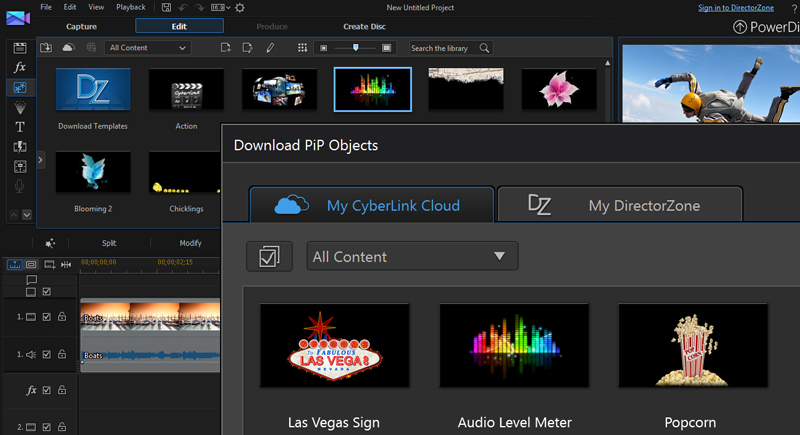 Unveiled at the Photokina 2014 trade show is a new version of CyberLink’s all-encompassing Director Suite 3, now for the first time paired with the company’s new Cloud Service, which is available free of charge for the first year. It offers the enthusiast crowd an assortment of fun and useful visual tools in numerous configurations and prices to fit specific needs. Cloud services are available from the interface. CyberLink’s major apps, all of which are wrapped into Director Suite 3, are individually numbered based on their historical references. They include PowerDirector 13, PhotoDirector 6, ColorDirector 3 and AudioDirector 5. Here’s the lowdown on the new features. PowerDirector 13: With the new version of PowerDirector, you can choose between Easy Editor and Full Feature Editor depending on how much work you want to do and how much time you have to devote to the creative process. The software provides access to some 400 built-in effects, templates and presets. New to the package are Transition Designer to customize transition effects, Title Designer to create animated titles with keyframe control and Menu Designer for creating disc menus with customizable structure and layouts for multi-chapter thumbnails. 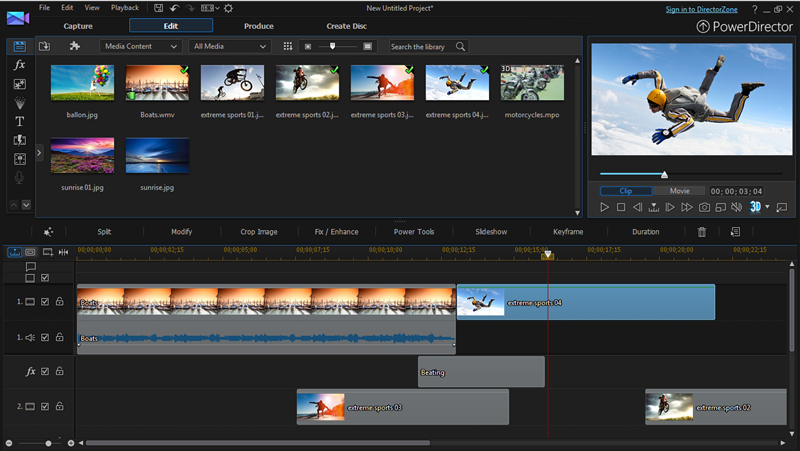 In addition, the software now features 100-track multicam editing, letting you synchronize multiple camera clips on the timeline to simulate live broadcast camera switching techniques. New algorithms support content-aware editing and video stabilization. The new version of PowerDirector also supports formats such as HEVC H.265/HEVC 2K/4K codec and XAVC S Sony-based HD and 4K content. The video app includes 10GB of online storage, which accommodates on-the-go creation with PowerDirector’s mobile app for Android and Windows 8 devices. PhotoDirector 6: This app — like Adobe’s Photoshop and Photoshop Elements and Apple’s iPhoto — concentrates on image editing, with some management tools thrown in. This is CyberLink’s only suite choice for Mac users, and it works with Mac OS X 10.6.8 or later. Version 6 offers an assortment of new features, including a radial and gradient adjustment mask, improved toning for better detail and contrast, film-like grain effects presets, a photo merge feature for panoramas with content-aware fill and face swaps for group portraits, and improved skin tone, body shaper, and collage features. 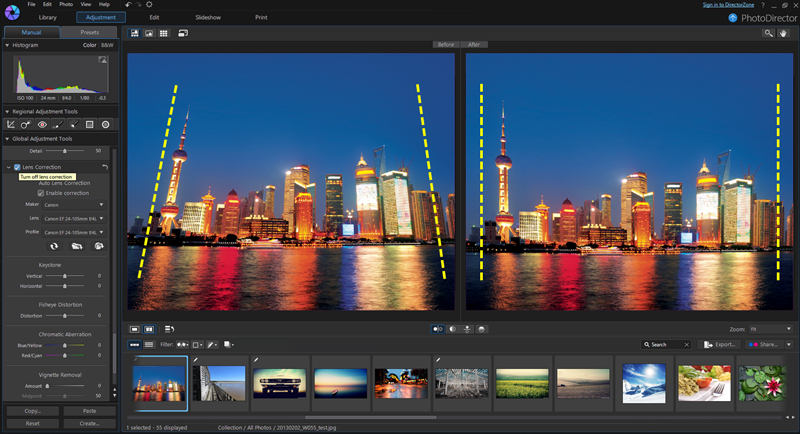 The new version adds support for 54 new camera raw profiles, 36 new lens profiles for auto correction, Open CL support for swifter exporting of edited photos, a share via email or social media feature, and the ability to edit EXIF timestamps for easier searching. PhotoDirector also has free mobile editions for Android and Windows 8 devices. ColorDirector 3: Think of ColorDirector as a color grading tool that provides a consumer level analog to Adobe’s SpeedGrade targeted to enthusiasts and advanced hobbyists. 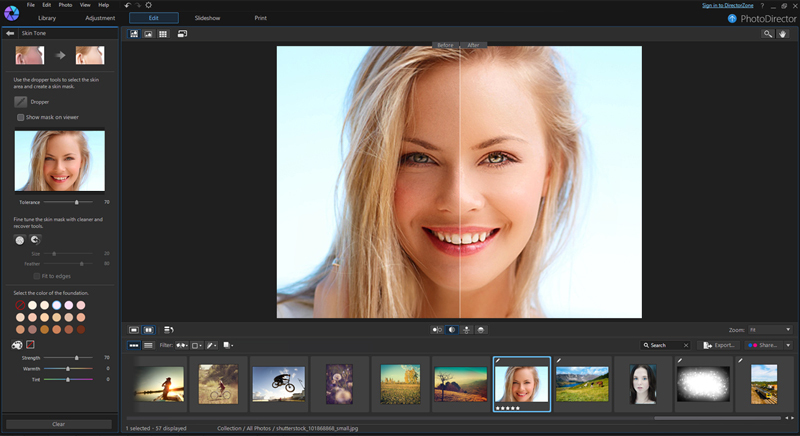 CyberLink’s software offers specialized tools for correcting white balance, adjusting tonality and enhancing and stylizing video colors for a more cinematic production. 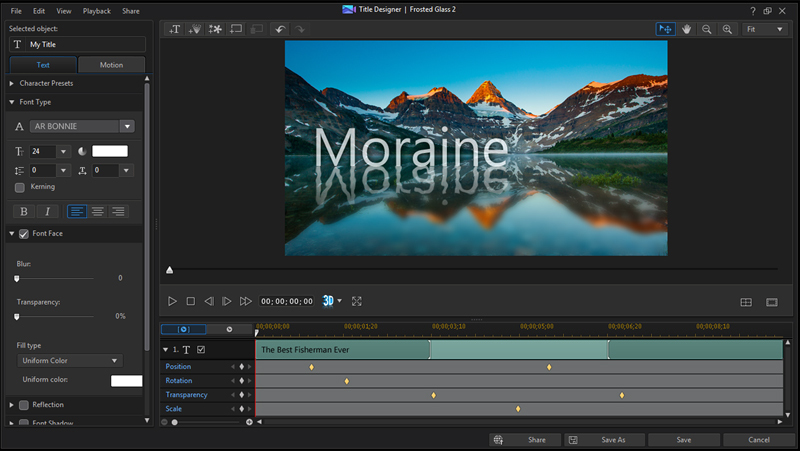 It also features HDR video and motion tracking for color enhancement and split toning that lets you add a color to video shadows and highlights. Like PowerDirector, ColorDirector also supports the new video formats such as HEVC H.265. 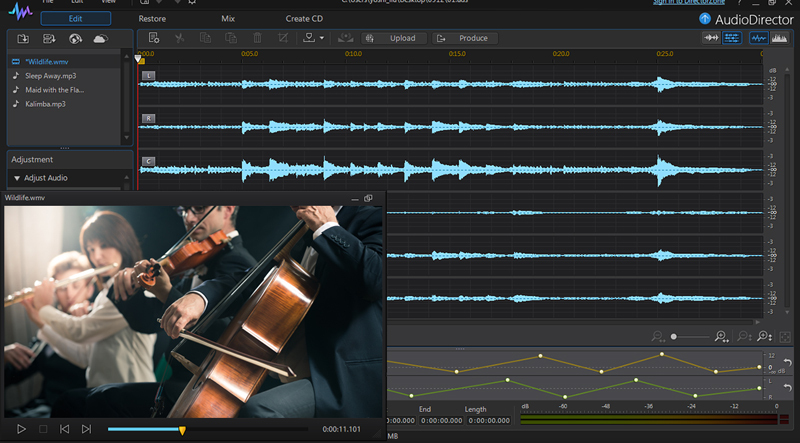 AudioDirector 3: Like Adobe’s Audition, this sound utility offers direct soundtrack editing for any audio tracks embedded in videos and supports up to 7.1 multichannel sound and visually referenced synchronization. Alongside new noise reduction and hum removal capabilities, it offers a 5.1 and 7.1 channel surround sound panner for mono or multi-channel audio files. A new vocal transformer lets you modify the pitch and timbre of voices, and change them to preset vocals or customized voices. The audio app also features loopback recording for computer audio such as conference calls, Skype calls and streaming audio. A new mixer panel allows for viewing of existing volume adjustments for all tracks during playback. PowerDirector is available in four app configurations (Ultimate Suite, Ultimate, Ultra, and Deluxe), ranging from $69.99 to $249.99. 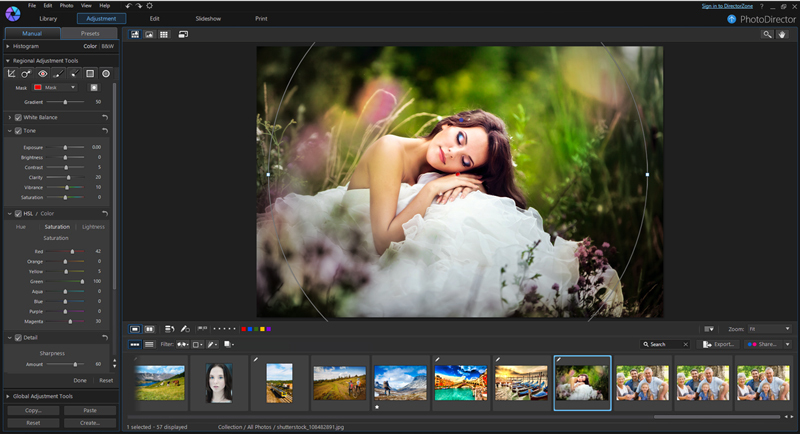 PhotoDirector 6 has three configurations, including PhotoDirector 6 Suite, Ultra, and Deluxe, ranging in price from $59.99 to $149.99. Both ColorDirector and AudioDirector are available in one Ultra version for $129.99 each. The apps are available individually or as part of a suite configuration for various prices from the CyberLink online store. All products are available today in English, French German, Italian, Spanish, Dutch, Chinese (Simplified and Traditional), Japanese and Korean. The CyberLink Director Suite works with Windows 7 or higher and Vista.